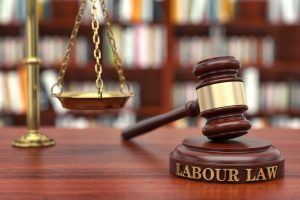 Employment law is all about employee’s rights. As an American employee, you have the right to be paid at least the federal minimum wage of $7.25 per hour, the right to join a labor union, the right to take unpaid time off work to care for a close loved one or manage your own health under the Family and Medical Leave Act of 1993, and many more rights. Our team of employment lawyers at Marshall & Forman, LLC can work with you to protect and promote these rights if you feel yours have been violated. Never be afraid to exercise your rights in the workplace. If you cannot resolve your issue with your supervisor or your company’s Human Resources department, speak with an experienced employment lawyer about it. Your lawyer can evaluate your case and determine the most effective way to proceed with, which could mean filing a claim with the Equal Employment Opportunity Commission (EEOC) or a lawsuit. Your lost compensation. This can go beyond your immediate lost earnings; it can include back pay, compensation for earnings you should have received while the violation was occurring like overtime hours compensated at your normal rate, as well as front pay, the compensation you could have earned if you had remained employed. When your rights are violated in the workplace, you have the right to pursue compensation for your related damages and potentially other forms of justice and positive changes at your company. To learn more about employment law and your rights, contact our team of experienced employment lawyers at Marshall & Forman, LLC today to talk to us.